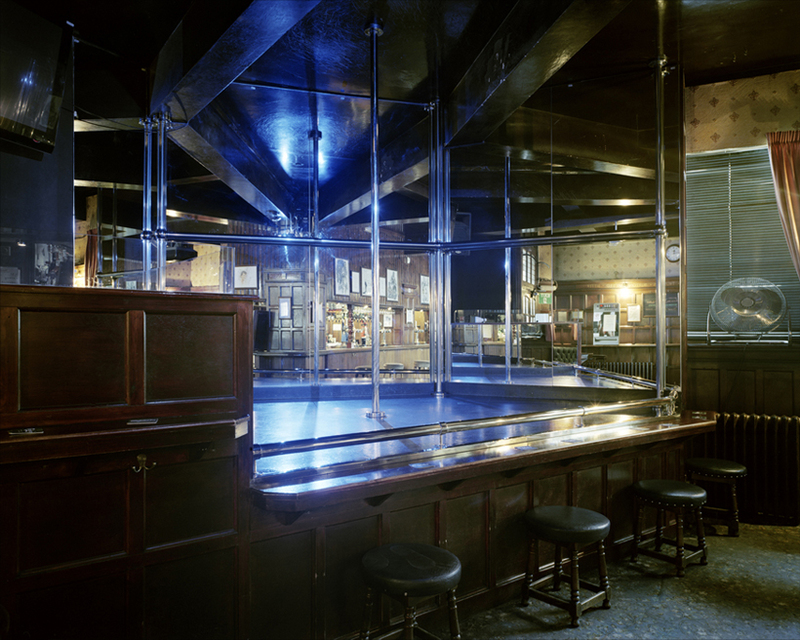 The Shoreditch Triangle has always been the focus for London’s strip pubs and clubs, but the combination of a traditional pub with naked ladies is fast becoming a thing of the past. 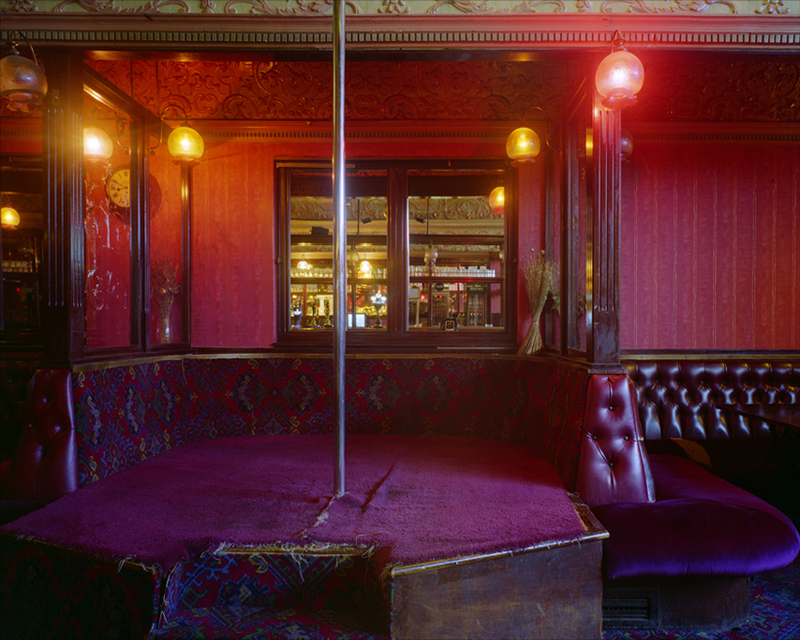 In this project, the strip clubs have been photographed empty and the viewer is forced to investigate the space, the lines of the architecture, the arrangement of furniture, and the poles on the stage. The images, powerful and raw, suggest what goes on in these spaces but it is the viewers’ memories and experiences that compose the rest. Jenny Nordquist, born 1977 in Sweden, had lived for 12 years in London and is currently based in Copenhagen, Denmark. She is a photo-based visual Artist, and had received a BA Hons Photography at London College of Printing and a Masters of Image and Communication at Goldsmiths University in 2004. Her large-scale photographic works examine both the private and public space, photographed empty to bring attention to the space, the lines of the architecture, the arrangements of furniture and all the small objects that create these odd and captivating spaces. 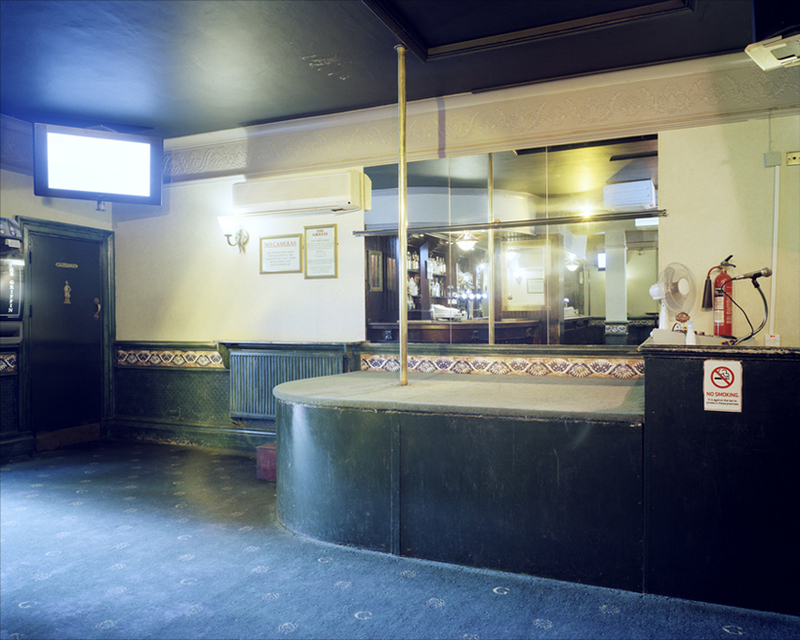 The buildings in Jenny’s photographs tell us something about the needs, imperatives and values of those who use them. Jenny’s work has been exhibited in galleries such as Northern Gallery for Contemporary Art in Sunderland, Rotterdam Kunsthal in the Netherlands, Brighton Photo Fringe and Kunsthal Charlottenborg in Denmark.